Don't risk over-baking your sculpt! Polymer clay needs to be baked in your oven to make them hard enough to last a lifetime. But if you over cook or under cook clay all your hard work could turn to disaster! Don't trust the setting on your oven dial. 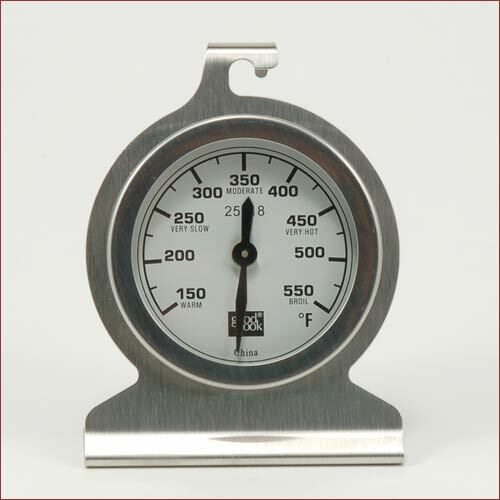 Use our oven thermometer to guarantee proper baking temperature. This thermometer is well suited to polymer clays. There is no guessing or risk when using an oven thermometer. For tips and baking times click here.